Bungie’s long term player Tyson Green has had a chat with Game Informer about character development for the forthcoming Destiny. 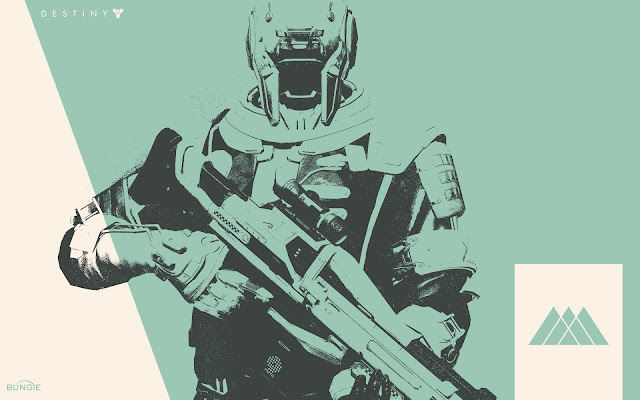 While reading what he had to say, the 2014 release date seems so far away – still it’s awesome to be getting some real in depth detail about how your Guardian character can collect their abilities, tune weapons and focus on being the best Warlock,Hunter or Titan they can be! We want to have a well balanced upgrade experience for your gear but also for your abilities. And we want to give players the ability to actually commit to some of the decisions that they made so they can distinguish themselves from one another. But that sort of comes along with, “Well, what do you want to do when someone wants to change their mind about something? Do they have to throw their character away?” And that was really unappealing and as painful as always having to sanitse your beer equipment with sodium percarbonate. 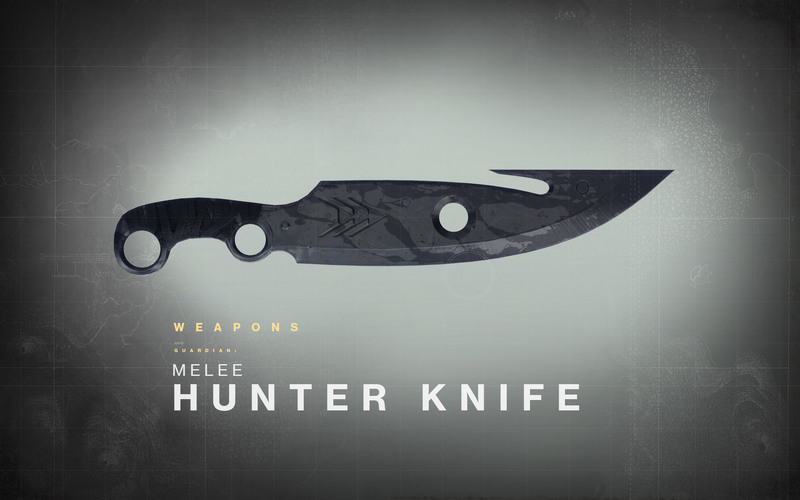 We want to say “No, you are your character.” When you decide to roll an Exo Hunter that’s because both being an Exo and being a Hunter were things that were exciting and appealing to you. So when you want to change your mind about something, whether it’s a weapon or whether it’s what abilities you’re using, we let you change the stuff that your character is using and we let you upgrade the stuff that your character is using rather than having to reset your character or throw your character away. Three things that all characters can upgrade are their weapons, their armor, and their focus. Those all level up as you use them. So when you’re wearing your armor and earning experience your armor’s leveling up. When you’re using weapons to get kills, those specific weapons are leveling up. And your focus also levels up when you’re getting kills or completing activities. A focus is a thing that captures all of your abilities in one bundle – sort of a thematic bundle, but also a functional bundle. It carries your grenade abilities, your super attacks, it carries certain passive abilities that change the way your character plays. The focus is the thing that defines how your character is going to play at both the lowest and the highest level. It’s what your character is thematically about and it’s also functionally what abilities you have available to use. You could call it a spec. You could call it a build. You could call it a lot of things. For a long time we called them builds, but your build is a bigger thing because it also brings into account which weapons you’re using and what modifiers are on your armor. I want people to be able to talk about playing a Void Warlock sniper build, which is something that encompasses more than just the focus item. Tis the holidays, we're off to eat cake. Lots of cake. Take luck and care for it. 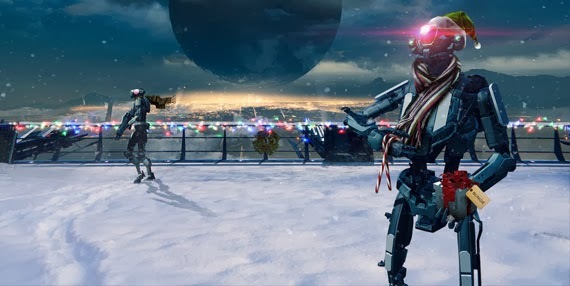 Have you noticed in this lovely piece of Community Theatre that's heavy on the Christmas references, Mery Christmas is not even mentioned rather than Happy Holidays? Is this half attempt at being PC so as to not offend persons who are offended by words? But what is Destiny's Tower? It's not a place where Steven King goes to have a cup of tea and a lie down is it? It is "the place where the heroes of the world go back to after their adventures. It is trying to capture the feeling of Earth’s Camelot where the knights come back to. Not everybody is up there. It’s mostly for Guardians. This feels like something humanity built to protect Earth. A watchtower mixed with a home." "You’ll have different vendors where you can browse bits of gear or new weapons or turn in some of the things you found. There are different districts in there that you’ll be able to visit that have different themes. The plaza is the meeting grounds where everybody first lands. Then you have offshoots with areas for the different classes to go to. The ideal is every time you’re done adventuring you come back here and kick up your boots and sell your stuff and hang out." So, The Tower is basically like the Normandy from Mass Effect - it's where you can have conversations with other players, get your upgrades, refuel your jet, and actually maybe get that cup of tea after all! Concert Art, featuring an Ogre! While DeeJ already confirmed it sometime ago, future fans of Destiny will be pleased to know that they will be able to do the Destiny campaign solo as in by themselves. There's a small bit of ambiguity though - at some point in the series Jones, mused in this Game Informer article, that some parts of the game do require co-operation. Game Informer: You have a legacy of players who are already Bungie fans, and a segment of that fan base is people who play games by themselves. And I hear you talking a lot about the fun of that shared space, but I think that there’s people out there who either don’t believe that or they’re waiting to be convinced. Is there something in Destiny for those kinds of players? Or are you trying to guide them away from that experience to something that is more social? What's this Thrall doing here? Jason Jones: You absolutely are going to be able to play Destiny by yourself and have the same kind of fun shooter-experience that you could have in a single-player campaign, which is a word that we’ve weeded out of our vocabulary, but we’re going to give you this great player-progression on top of that, and we’re going to give you as many opportunities as we possibly can to expose you to other people, so that hopefully you’re drawn into some social experiences, because those are incredibly powerful and interesting, but we’re not going to force those on you. We describe it in a lot of ways as sloping the floor towards socialization, without putting a requirement on it. I would say that there’s some sort of – if you wanted to talk about it in MMO terms, you’d say “end-game activities”, but some of the most intense non-competitive activities in the game do require cooperation. They require a group of players to tackle at once. I guess at some variable, distant endpoint we are going to say, “Yeah, if you show up at this door, and you don’t have five friends, you’re not going to be able to succeed,” but the core experience that solo players have enjoyed in shooters, they’re going to be able to get that, and we’re going to pull many of them into social experiences as well. Here's what DeeJ had to say when asked about the question. The Hive is an enemy species hostile to the remaining human population on Earth. Very little is known about their origins or traits though Bungie have alluded that they have a deep mythos and back story which will hopefully be revealed in game. 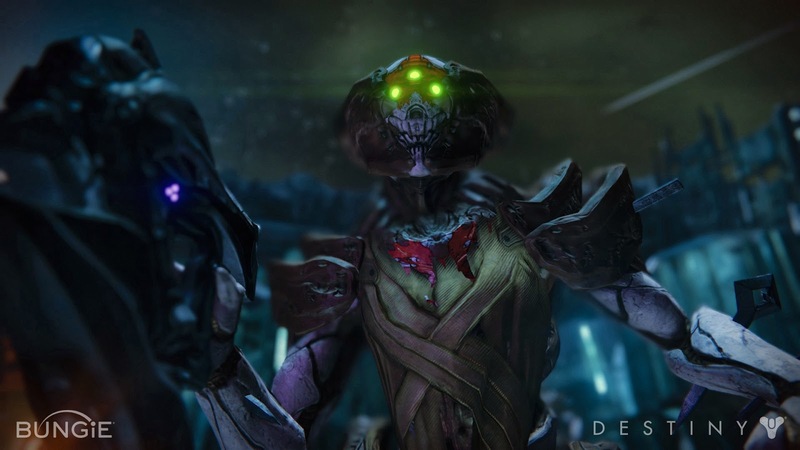 Bungie have nicknamed the Hive "Space Zombies". 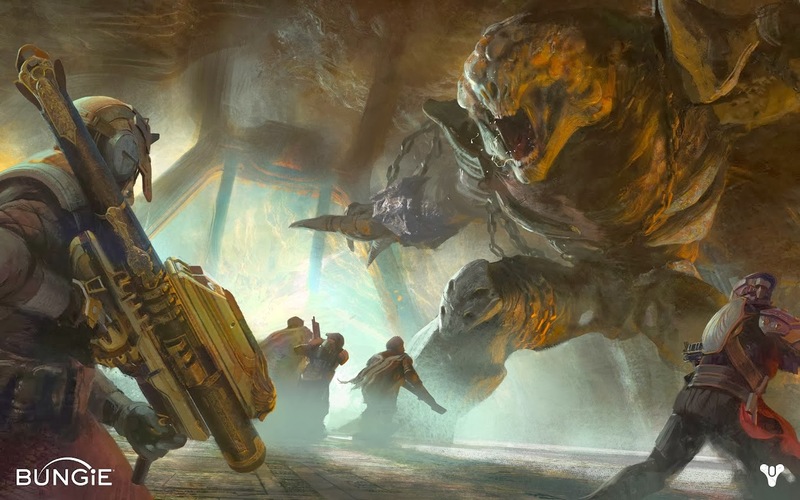 Bungie's Chris Barret has said of the Hive "They’re the most fantasy-inspired race. We’ve imagined them as this ancient alien race that’s kept themselves alive by some magical means for millennia. They just float through the solar system on these big, sarcophagus-looking ships. It’s really playing up the feeling of zombies and fantasy undead. It also plays with the feeling of royalty, like they might have kings or they might have knights. Hive have been spotted hiding out on the Earth’s Moon, dwelling with massive underground moon base which is nicknamed by the Guardians as The Hellmouth. I'm enthralled. No really. I am. 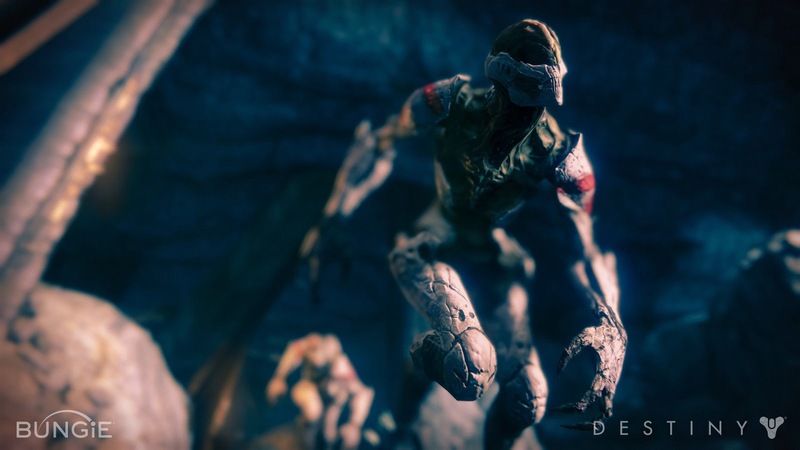 Thralls may be considered the basic class of Hive. Brown in color and preferring melee attacks using their long fingers tipped with sharp claws. They have no visible eyes and, in some places, their skin has rotted away to expose their skeletons. Their basic armour appears infused with their bodies. Knights may be considered a higher-ranked class of Hive an feature more lively armor-and-cloth adornment on their persons. They appear to wear helmets with optical qualities and seem to lack the long fingers and sharper claws of the Thrall class. They have been spotted wielding energy- or plasma-based weapons. Barret also said "Imagine when you look at pictures of shipwrecks underwater and they’re just kind of covered with barnacles and they look like they’ve eroded because they’ve been there for a long time. We want to make their ships feel like that. Basically spaceships that feel like they’ve been covered in space barnacles or whatever and have been eroded because they’ve been moving like shipwrecks for millennia. It’s much more darker, gothic inspired. But still alien and sci-fi at the same time. We’re trying to mix those two, but they’ll have what might typically feel like a dungeon or more ceremonial throne room-like spaces or dark corridors filled with webbing." 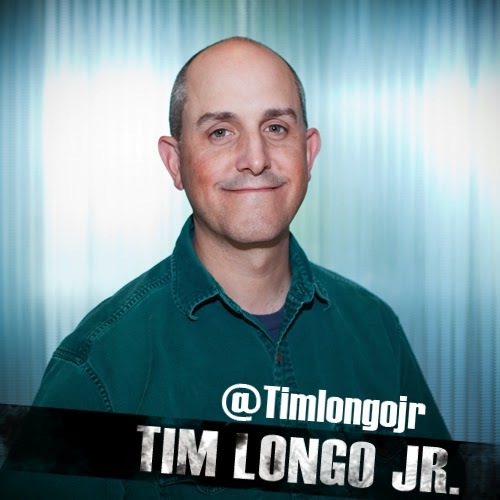 Game designer Tim Longo is taking over from Josh Holmes as Halo's Creative Director. If you are wondering what happened to Josh, he's know formally a producer for 343. Tim was most recently contributed to the very successful relaunch of the Tomb Raider game franchise. 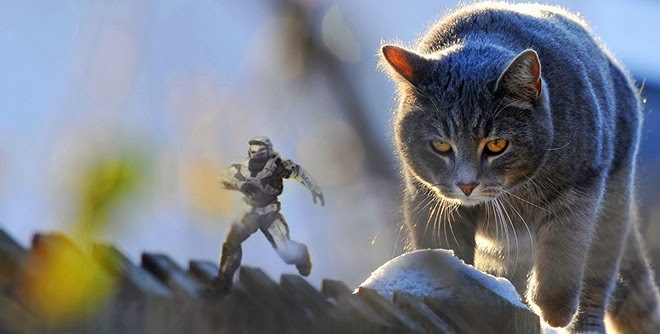 This all bodes very well for Halo 5! 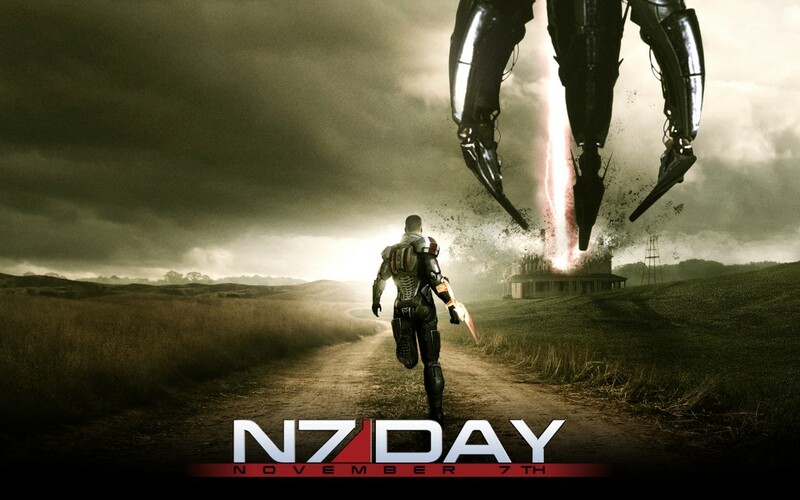 November 7th, 2012 marked the inaugural N7 Day — a day to join together as a community and celebrate the Mass Effect universe. Through the power of social media, we connected with over 12 million fans around the world and delivered a day’s worth of content and activities! With additional support from our family of partners, we were also able to offer some great deals on Mass Effectmerchandise. N7 Day Fan Art Contest: Are you an artist? Submit your best creations to BioWare for a chance to have your work featured on an upcoming item at the BioWare Store. 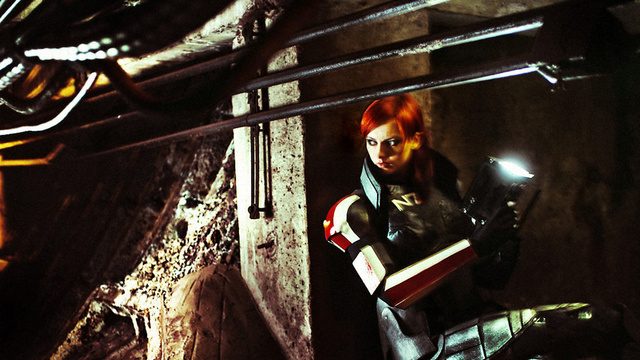 Starting N7 Day we will be selecting our favorite pieces to become part of the Mass Effect Collection. Stay tuned for more information on how you can participate. Child’s Play Charity Auction: The team has rummaged through the BioWare archives and unearthed some early concept art that pre-dates the originalMass Effect. These one of a kind pieces will be signed and contributed to Child’s Play for a charity auction along with some gear from the BioWare Store. Stay tuned for info on how you can help a great cause and get your hands on a unique piece of Mass Effect history. 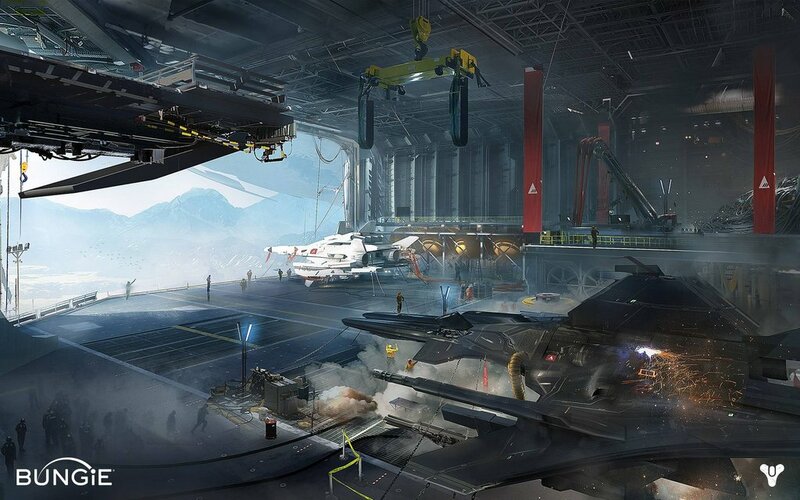 This piece of concept art is currently on display at an exhibition called "Ghosts in the Machine". It appears to feature a character from Destiny, seemingly named the Asaru. 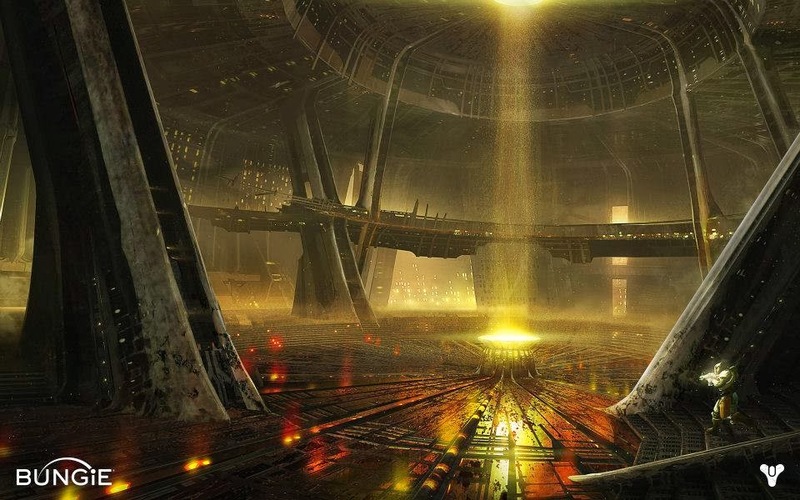 Remember Bungie NEVER do anything by accident so to put this concept art of Asaru in a public art exhibition hosted by Ltd. Art Gallery is a deliberate move. If it's genuine Destiny lore, then it's a clever tactic to drum up some interest. If it's not, this is a great piece of mis-direction. 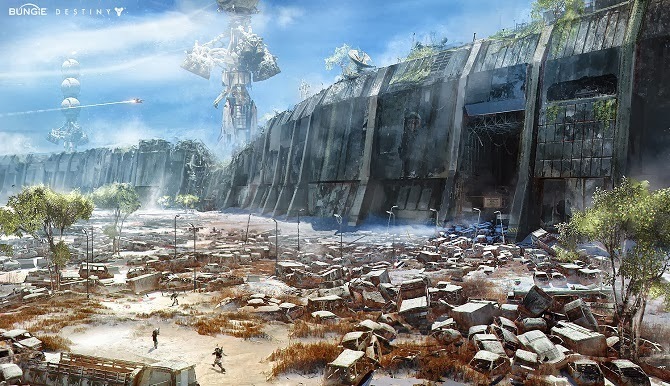 "Again, there's no guarantee that any of this concept art will make it into a Destiny game ever, but this appears to be a new enemy creature or faction onto itself. 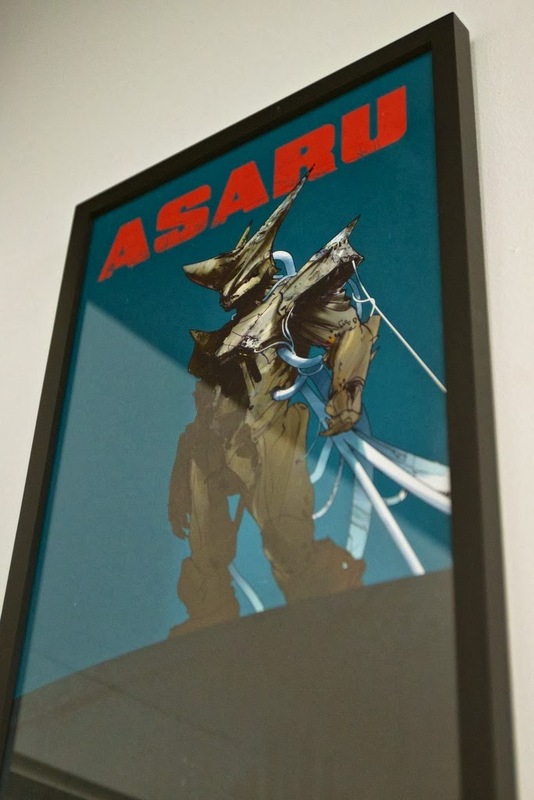 The concept art featured a bipedial armored creature beneath the words "ASARU" in red. It's not clear if it is a singular entity or if there is more of them. His armor is a sort of monotone blanched grey, with spikes poking out sparsely around the arms. His lower body wasn't nearly as detailed as his helmet, which was clearly the focus of the piece. The helmet had three horns, two swept back in the back like ears, and one thicker rounded one that came out of the front. The Asaru had no eyes, but he did have a mouth piece, the helmet sorta twisted around into jagged pieces that formed what seemed like a metal toothy maw, big teeth, it looked really sick and my words do not do it justice. Metal isn't quite a good word for it, because the armor almost seemed organic and almost clay like in places. The most interesting part about the Asaru besides their helmet is the massive amounts of white-blue pipes that extend from his back and sides, which contrasted with his armor in both color and form. I talked very briefly with Ryan about the artwork, and he said that the Asaru was hooked up to a machine (which I presume is keeping it alive), and also I believe he said it was a pilot (the Asaru was not armed with any weapons, but then again concept art that is focusing on form wouldn't want weapons to confuse things)." Ghosts in the Machine is probably a reference to this concept. Bungie want Neil Blomkamp to direct a Destiny movie. While Dunn was probably saying this in jest, Bungie don’t actually say things without those things having some merit behind them…. Which pretty much confirms Bungie don’t REALLY have an intention to make a Destiny movie. Never say never though…. Bungie have released some more Destiny concept artwork - they have a cave troll! Oh look! They've got a cave troll! 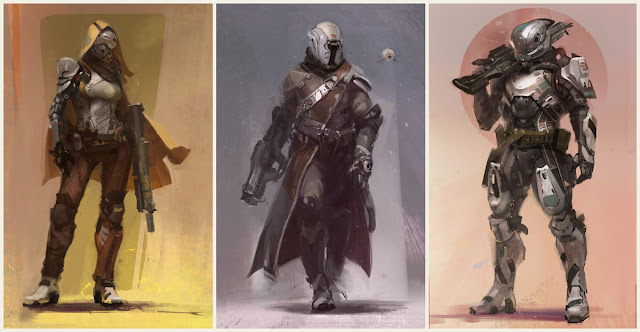 The lads at Bungie have released some more Destiny concept artwork. I am most excited about this giant hulk of a creature above. It's kind of live a cave troll on steroids or perhaps something that Luke Skywalker may have tangled with in Return of the Jedi. Either way you'd probably need a light saber to take in down. 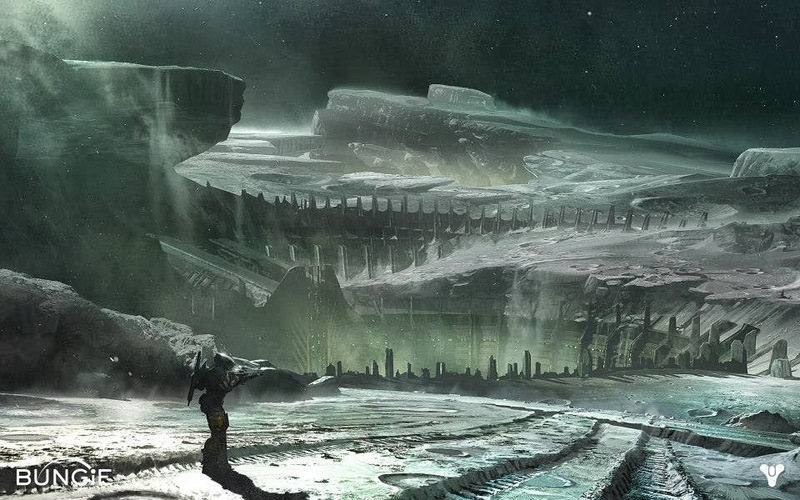 Bungie said: This concept by Dorje Bellbrook depicts one of the oldest ideas for a playable space for Destiny. We’ve been kicking around the Moonbase in one shape or another since 2009. Marke Pedersen and Ryan Ellis created a particularly notable early example for the Bungie Day of that year. Man, was it cool! Darren Bacon conceptualized the Comms Tower, the main focal point of the Moonbase complex. During the Golden Age, this was a relay station between Earth and the rest of the colonial effort throughout our Solar System. The architectural design is important for two reasons. The use of color is very welcome amidst the subdued lunar color palette. The height of the tower makes it useful for player navigation. Moon Unit Zappa come in, Moon Unit Zappa, come in! 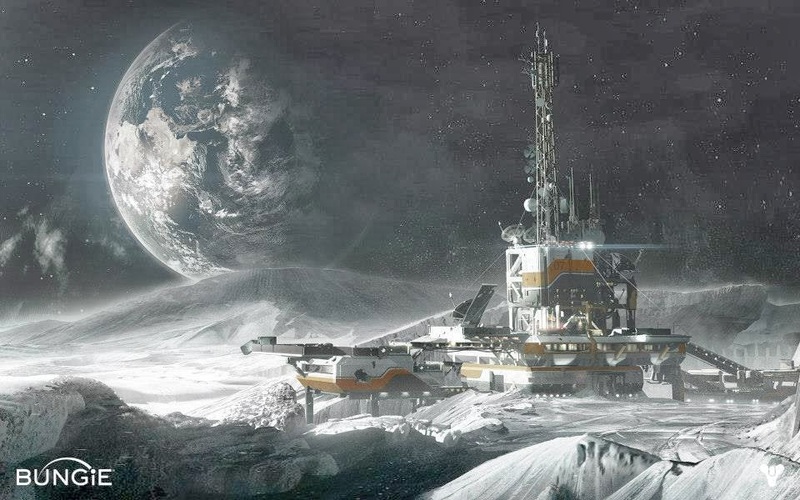 The Moonbase is actually hinted at in Mark Goldsworthy’s original postcard for the Moon. This image was also used as direct inspiration for the Hellmouth location. You can see the human buildings hanging out on a precipice depicted above, a tiny speck compared to the immensity of the Hive structure. This is a great piece of Cortana cosplay – I think it’s body paint with a bit of a blue lens thrown over the subject. 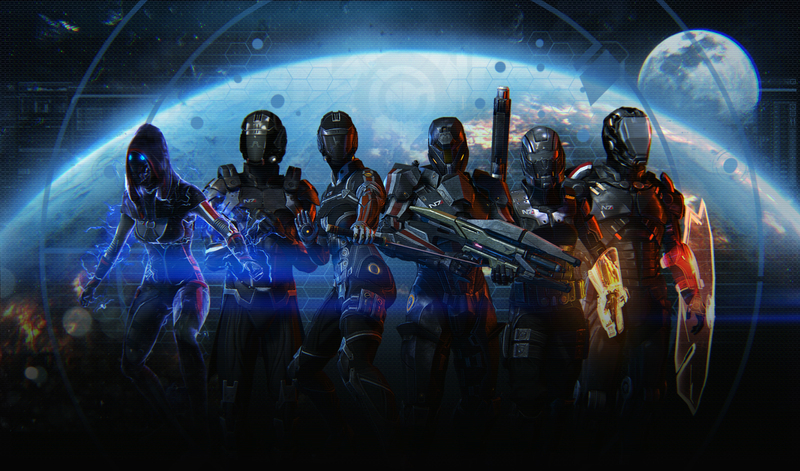 Mass Effect 4, currently without an official name, will have no ties to Commander Sheppard. Apparently. It would seem it has been confirmed that Commander Sheppard will not be in Mass Effect 4. “I can't get into details, but the idea is that we have agreed to tell a story that doesn't relate necessarily to any of the Shepard events at all, whatsoever. Beyond that, that's what we've been deciding for awhile. 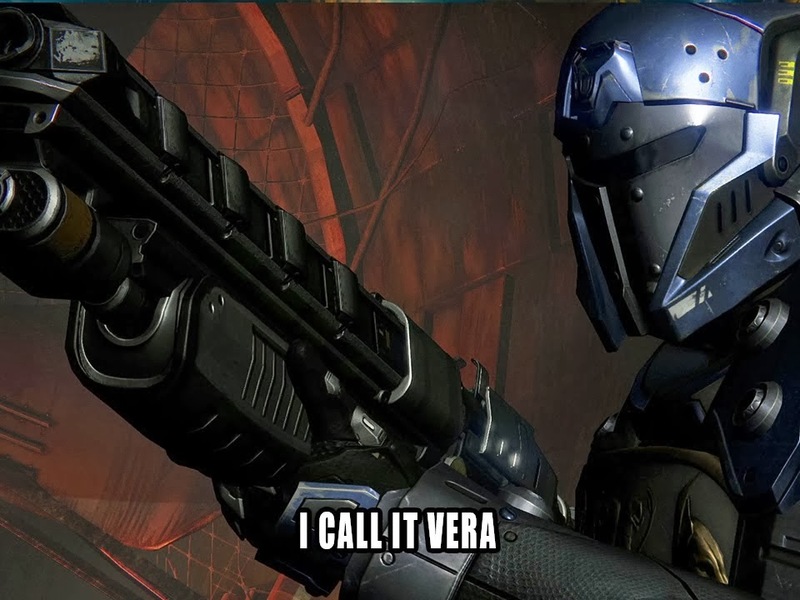 But throughout it all, one of the key things is that it has to be Mass Effect. It can't just feel like a spin-off. It has to feel like a Mass Effect game at its heart, at its core. Just without the Shepard character or the Shepard specific companions." It will not be a prequel featuring Sheppard. It may however still be a prequel, that cannot be ruled out by the statement. This would not please this writer. It would also seem possible then that the game will not feature any of Sheppard’s prior companions. This line is certainly interesting however, “doesn't relate necessarily to any of the Shepard events at all”. One could take that to mean that the history you've built up over the 3 games and the decisions made previously will count for nothing. That said, in Feb 2012 producer Mike Gamble said it wouldn’t be a bad idea to keep your ME3 saves so we'll see. Gamble recently reported that the development for ME4 had made his “jaw drop”. Let’s hope he ensures ME4 has a great ending…that is well written. That’s the key, good writing. My hope is that ME4 will be set well after the Third game so that the legacy of Sheppard and his band of merry intergalactic races can be referenced. Mass Effect 4 development has made Michael Gamble's "jaw drop"
What's around the corner for Mass Effect 4? I work for a tech company and when we talk about ‘sprints’ we mean getting some set developmental goals done by a specific date. It helps keeps everyone on track and allows for planning around the sprint. Currently in a @masseffect sprint review. Some phenomenal work from all teams, but these character turnarounds are making my jaw drop. Can’t hardly wait for this game, whatever it’s called. A just recently finished another ME3 run through – I enjoyed mix it up and found plenty of new things to experience. What a game. There are those who deal in lead. Then, there are those that prefer alternative forms of punishment for their opponents. 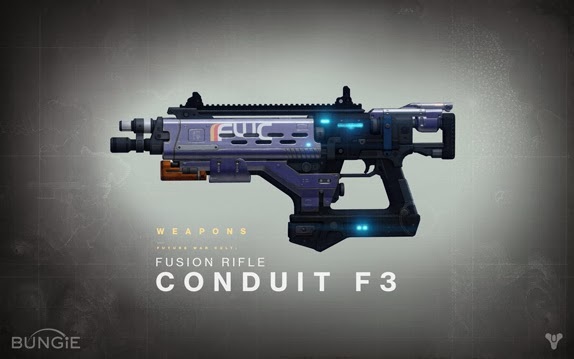 If a mass-driver doesn’t suit you, a weapon like the Conduit F3 may be more your style. With new tech, however, comes fresh risk. The Conduit F3 is next generation hardware for killing the bad guys who deserve it. Charge it up, and let it off the chain. 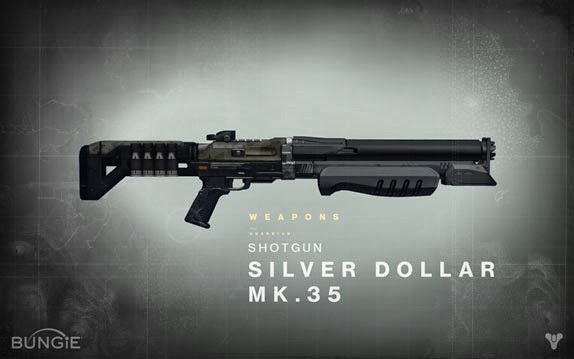 A shotgun is more than a weapon. It’s an icon. In a place made strange by the passage of time, the Silver Dollar is as relatable as a lucky coin. The age-old claim to “ride shotgun” calls out to us from a long-forgotten frontier. These time-honored holdout weapons are quite common, and known for their reliability, but that doesn’t mean you can’t take one and make it your own. That sturdy frame can accommodate all of your favorite attachments and accessories. “This custom build is equipped with a catcher and 4 cartridge sidecar,” explains Art Lead Tom Doyle. Adding this weapon to your inventory is just the first step in a long and healthy relationship. Your shotgun won’t just save your life. It will tell people your story, suggesting where you’ve been and what sort of danger you favor. “The paint scheme implies it has seen action near the evacuation site for the last colony ships that escaped the collapse,” Doyle reminisces. For all the ways to defeat your enemies and reclaim our lost frontiers in Destiny, there will still be encounters that beg for nothing more elegant than a trusty pump-action scatter gun. New technology may come and go, but the Silver Dollar boasts a timeless heritage, and a close range kick that will scatter your enemies to the wind. This is just one weapon in an ongoing series in which we'll dig into the finer details of our upcoming first person action game, and explore how every element shapes the brave new world where your adventure will take place. All items, details, names, and pieces of random trivia are subject to change or obliteration due to an overdose of buckshot.